At first, I thought it was imposible to have a forum on blogspot which actually looked like a feature that came with the site. However I was WRONG!, and I found out Nabble which was a awesome website for putting a forum on your blog. 1. Go to http://n3.nabble.com/free-forum.html.Then fill in the information and when you have filled the information, click 'Create Forum' and then go to your email and confirm your account. 2. When you have confirmed your email by clicking on the link you should come to a page like below and then click continue. 3. In the right-hand corner at the top, they should be a link that says 'embedding options', click on it. 4. Now copy the link in the text window. 5. Go to blogspot and create a new page or post and name the title of the post forums or something on the lines of that! 6. Now click 'edit html' on the new post and paste the code given to you on that website that we were just on. 7. Then click publish post, and it should look very good. You can change the appearance if you wish by going to the link given in the email confirmation. Everyday, more people are using mobile phones however more people are using them to go on the Internet which means you will get traffic.Your website has to be phone/mobile 'friendly' because if the web page takes along time to load, we go on someone else's website which loads quickly. 1. Login in to Blogspot and click on the 'design' tab and then onto 'edit html'. 4. Click 'save template and now your website should load quicker when you visit it on mobile phone device. Loads of people use twitter these days. A great way to get popularity is to add a 'Retweet' button to your website. Follow this simple to tutorial to find out how! 1. 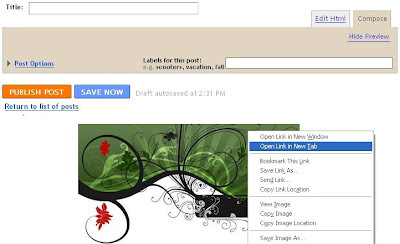 Open up your blogspot dashboard and click on the 'Design' tab and then click on 'Edit HTML'. 4. Save changes by clicking 'Save template'. 5. Add this code below to the posts by clicking 'Edit html' on the 'New post' page. When you have pasted this code below, click 'Publish post'. Want page numbers instead of 'Older Posts' on your Blogger Blog? This post explains how you can get numbered page navigation. 1. Open up blogspot and click on the 'Design' tab and then click on 'Edit HTML'. 3. Click here and paste this code above. 6. Click 'Save template' and your changed should appear. 1. Click on 'Posting' and then click on 'Edit pages'. 3. It should look like you are creating a new post but actually your creating a new page. Give your page a title and put some information in your page. 4. When you have put information and gave your page a title. Click 'Publish page' in the left-hand corner. 5. Click 'View page' to view the new page that you have just created. Create a new post and upload your images to that post. Don't publish this only save it as a draft. When you have uploaded all the images. Open each image in a new window but do not copy the image URL because this trick will not work. Right click on the image and click 'Copy image location'. 1. Sign in to Blogspot and click on 'Design', then 'Layout' and then 'Edit HTML'. 2. Paste this code below above '/* Variable definitions'. 3. Save the changes by clicking 'Save template'. If you want to remove this 'hide navbar' trick. Just simply remove the code I gave you on step 2.